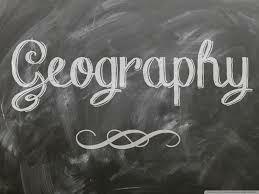 General Knowledge Question Related To Indian Geography Set 8 And Date Wise 30-08-2017 For All Examinations Which among the following rock system in India is also known as storehouse of minerals And provide the general question relating to the Indian constitution, that will much more and General knowledge questions and answers – for all competitive exams – MBA entrance, bank exams, RRB – Railway Recruitment Board And CAT, MAT, SBI-PO, RBI And Railway, Indian Army , Rajasthan,Delhi Police Related Study material And All competitive Exams. Question. (1) Who is a mounted mountain? कौन एक वलित पर्वत है? Question. (2) What percentage of the world’s population live in the plateau regions? पठारी क्षेत्रों में विश्व की कितनी प्रतिशत जनसंख्या निवास करती है? Question. (3) Earthquakes have surface waves? भूकम्प में धरातलीय तरंगें होती है? Question. (4) Have the latest mountains? Question. (5) What is the origin of the Himalayas? हिमालय की उत्पत्ति किस भूसन्नति से हुई है? Question. (6) which country is the Vesuvius volcano located? विसुवियस ज्वालामुखी किस देश में स्थित है? Question. (7) Mount Erebus Volcano is located on which continent? माउण्ट एरेबस ज्वालामुखी किस महाद्वीप में स्थित है? Question. (8) Where is the ozone most concentrated in the atmosphere? वायुमण्डल में सबसे अधिक ओजोन कहाँ पर केन्द्रित है? Question. (9) Which name is the most distant atmospheric layer of the Earth’s surface known? पृथ्वी की सतह से सबसे दूर वायुमण्डलीय परत किस नाम से विदित है? Question. (10) Which surface of the Earth is reflected by the longest radio waves? दीर्घ रेडियो तरंगें पृथ्वी की किस सतह से परावर्तित होती है?